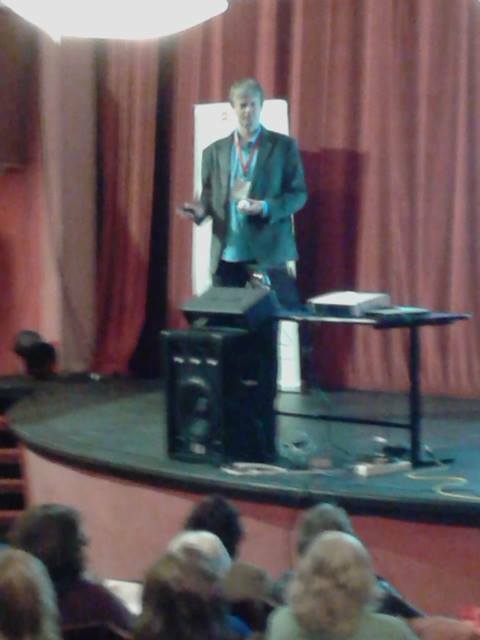 Saturday May 1th 2014 saw me presenting a spanking new talk at MAC2014 – the annual Macmillan conference in Montevideo, hosted by the Anglo institute. It’s the third time I’ve talked at the Macmillan Montevideo conference and it was great to catch up with old friends and make some new ones. 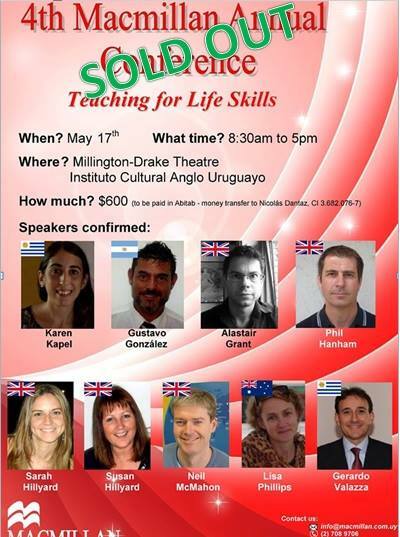 The talk has been a long time in the making since it was inspired by Jeremy Harmer’s talk at the 2010 International House DoS Conference – ‘Speak the speech, I pray thee’, which discussed improving students’ fluency by helping them to think and prepare inside their heads first. It was an inspiring talk, but a little short on practical ways to get the students actually doing this in the classroom. So I set about trying to motivate and inspire my students to think much more in the class, alongside their development of the other four skills. It’s taken me a few years to put what I’ve done into a talk, since it’s very much a case of small steps and slowly, slowly catchy thinking student. 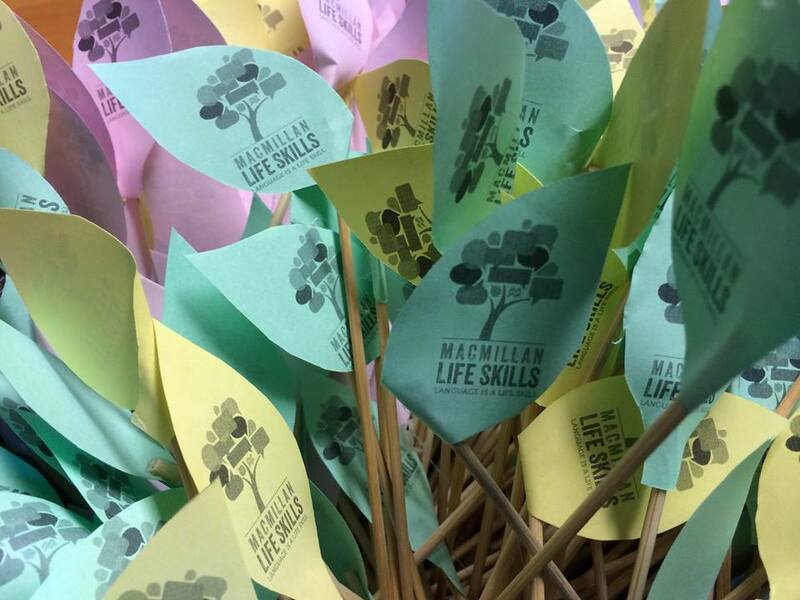 As the Macmillan conference was focused on developing Life Skills, I thought this was the perfect opportunity to make myself write the talk and bring together my ideas on the topic. as well as the video I used at the end as a way of having the students reflect on the ideas we discussed during the talk and think about how they could create more thinking space, structure and sensitivity into a lesson using this video. Unfortunately during the talk the sound was dodgy, so the great lyrics couldn’t be heard beyond the front row (and apologies to the audience that I had to resort to singing some of them myself! I also hope to put a lesson together myself using this text as a launching ad, so look out for that here too! Next up is the example text-based guided discovery lesson I used. You can read more about Guided Discovery and this lesson here if you’re interested. A reading based on a text about why to try and think in English when learning the language, with a worksheet that has built in space and structure for thinking. Encourage your students to do some thinking for homework and then discuss what they’ve done in class – the flipped classroom turns your students flipping (if they talk to themselves 🙂 ). Anecdote feedback sheet An example of how the students can reflect on each others’ work and tech each other a little more about anecdoting.